The Anambra State Police Command, has sealed the premises of the Anambra State House of Assembly complex in Awka, capital of the state, reports ITREALMS. ITREALMS recalls that the Speaker of the Anambra State House of Assembly, Hon. Rita Maduagwu, was reportedly impeached in what industry watchers described as a minority drama on late Tuesday afternoon. Report also has it that she was allegedly impeached by 20 of the 30 members of the House on Tuesday with a motion moved by Ikem Uzozie, member representing Aguata II constituency, and seconded by Onyebuchi Offor of Ekwusigo Constituency. Following which, Mr. Uzozie claimed he was appointed the new speaker of the house. But reacting Wednesday, the embattled speaker, Hon. Maduagwu said the claim was false as those seeking her impeachment lack the majority which is two-third of members to remove her or governor of the state. She, however, took control on Thursday by holding a session with a reportedly 11-man member and subsequently invited the Police to seal the premises. 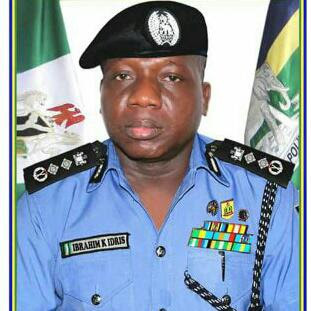 However, confirming this in a press statement late Thursday, the Commissioner of Police, Anambra State Command, through the Police Public Relations Officer, SP Haruna Mohammed informed ITREALMS that this has become necessary due to breach of public peace, Thursday. In a notice of the seal made available to ITREALMS, the Police claimed the leadership of the Assembly invited them to take over, seal off and secure the entire premises. This, Haruna said, was contained in a letter addressed to the Commission of Police with effect from 6pm Thursday, November 15, 2018. Although the Police did not reveal which of the leadership being referred here, but explained this measure was proactive to avert possible breakdown of law and order in the Assembly. "The Command implores members of the Public to stay away from the House of Assembly premises till further notice. Civil servants working at the Assembly Complex are advised to report at the office of the Head of Service for further directives," he said.